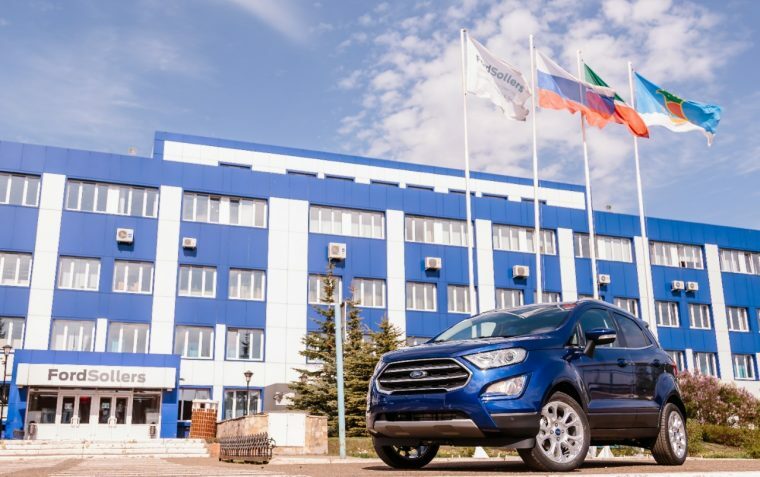 Ford Sollers, the automaker’s Russian joint venture, kicked off production last week of the new EcoSport at its upgraded Naberezhenye Chelny manufacturing facility. The Tatarstan-built EcoSport SUVs are tailored specifically to the needs of the Russian market. This includes making the popular combination of all-wheel drive and an automatic transmission the standard powertrain and ensuring that the suspension is adequate for Russian roads. Ford reports that approximately one third of all vehicles sold in the country are SUVs, and that sales of SUVs have risen 36 percent thus far in 2018. “Ford is moving from being perceived as a car brand in Russia, to a brand where more than 50 percent of its sales are comprised by [sic] SUVs and Transit commercial vehicles,” said Adil Shirinov, president and CEO, Ford Sollers. Ford Sollers currently builds seven vehicles in Russia. The Fiesta is built alongside the new EcoSport at Naberezhnye Chelny; the Focus and Mondeo are built near St. Petersburg at the Vsevolozhsk plant; and the Explorer, Kuga, and Transit lineup are built at Elabuga in Tatarstan. Russia is also home to an engine plant, also located in Elabuga, as well as research and development centers.